Utair, Russia’s fifth largest passenger airline, and which is privately owned with some state capital, is remaining faithful to its fleet expansion plans for 2019 despite continuing financial difficulties, Pavel Permyakov, president of Utair-Passenger Airlines has told Russian media. The Surgut-headquartered carrier has previously announced plans to take delivery of four aircraft this year: two Boeing 737MAXs and a single 737-800 are expected to join the fleet in March and April, followed by another B737MAX in September. 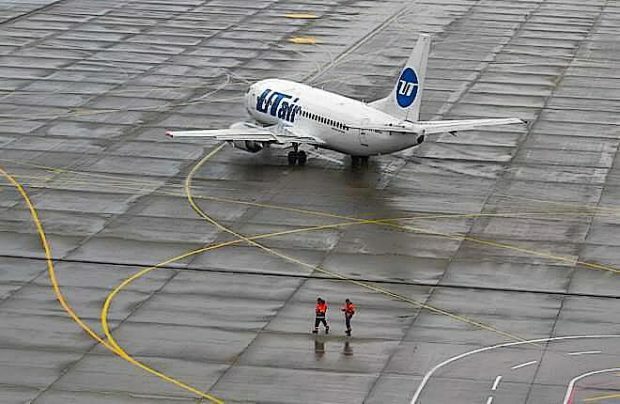 Utair has been struggling with financial constraints since 2015 when, in a debt-restructuring effort, it signed two agreements with a syndicate of 11 banks – one for 18.9 billion roubles (US$291 million) for seven years and the other for 24.1 billion roubles (US$371 million) for a 12-year term. The airline is currently working on a further restructuring of its big debts. According to some individuals close to the situation, more than half of all of its original creditors did not fully support the restructuring plan. Of the entire syndicate Sberbank was the only one to agree to postpone interest payments and waive some credit rights for 18.9 billion roubles. Industry analysts are projecting a number of different future scenarios for Utair, ranging from a part acquisition by the major local banks, to bankruptcy. None of the parties are currently commenting on the situation even though, according to the latest available data from Russian Accounting Standards, Utair’s net loss for the first nine months of 2018 was 1.9 billion roubles. “There’s nothing I can say regarding the debt restructuring. Our corporate centre is in negotiations. Meetings are being held every week. But there’s no substantial news yet. I think we’ll have this shortly,” Permyakov says. Despite the mounting problems, in its public statements the airline is emphasising how efficient it is. So, in announcing its 2018 operational results, Utair has also included its partner company’s wet-lease operations, reporting a combined 7.967 million passengers carried, up 8.7 per cent on the previous year. However, according to Rosaviatsiya’s records of last year, Utair carried 7.6 million passengers on its own fleet, only a 4.8 per cent improvement year-on-year and which is below 2012 results. Its target for this year is a record 8.9 million passengers, a 12 per cent improvement. But analysts believe that it is the company’s overall financial performance, not its operational results, that matters most, bearing in mind a current market background of growing competition, unsustainable growth in available seat capacity in the country and a steady decline in air fares. To try and cope with this, Utair has recently introduced a new fares structure with the option to choose between unbundled or bundled product packages – called ‘minimum’, ‘optimum’, ‘premium’ and ‘business’. As of January, Utair had 65 aircraft in its fleet, the same number as at the start of last year.